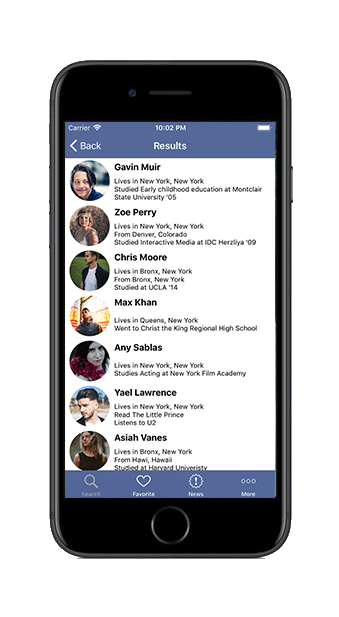 FBSearch - Find people with advanced filters on Facebook easily! Search easily people all over the world! Change your life and live in a different way the most popular social network. FBSearch is what you want now! 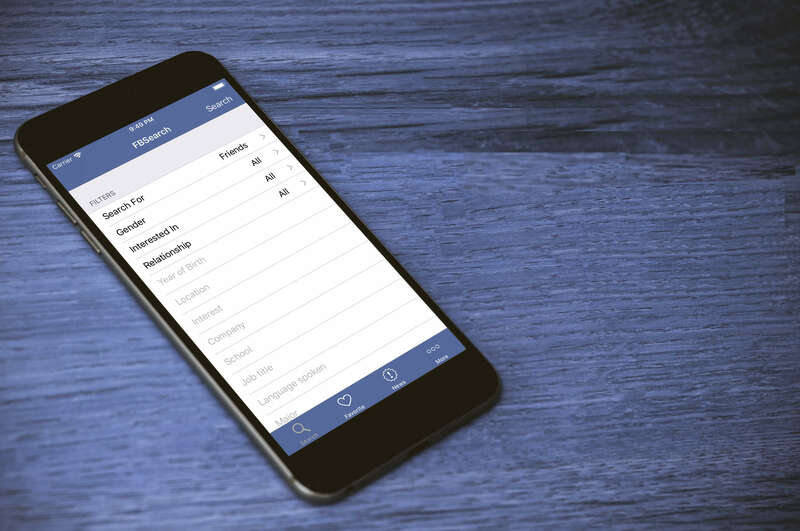 FBSearch allow you to search with many advanced filters on Facebook and browse the results on the App. You only need to login with your account and you can start to find new people! With all the filters available find new people is easily like never before! Set gender, location, relationship status and much more and find the right person you need! Now you can take a look to profile photo in high definition directly with one tap without needing to go on Facebook. Do you find many people each day and need a list saved locally? Use your personal favorite list and check their profile when you want! Do not be selfish! Share your last discoveries with friends by sending them profile link and choose which one is the best. If you have new ideas, improvements, suggest or complain, below you can find many differents ways to contact us, we will do our best for provide to you the best experience. Feel free to email us to provide some feedback on our application, give us suggestions for new idea, or to just say hello!